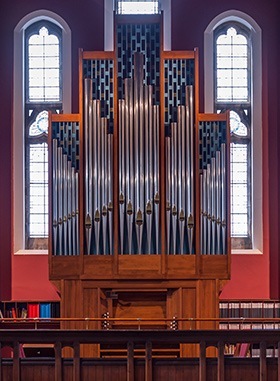 The commissioning of a new pipe organ should be a collaborative effort, designed to give you a unique, superbly crafted instrument within agreed timescales and budgets. Škrabl has built more than 300 organs, so we are well placed to guide you through every stage of your project, from the first sketch to detailed planning and costings. Besides our individual approach to planning, we build an instrument with extraordinary care for the smallest detail. 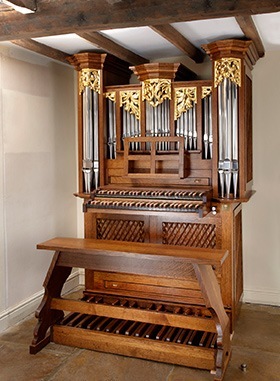 Our growing activity in the UK over the past 10 years has required that regular tuning and maintenance be carried out by a team of craftsman organ builders who are based here. Staff from the factory in Slovenia are responsible for the installation, initial tuning and maintenance but are backed up by a qualified, experienced UK team with workshop facilities. 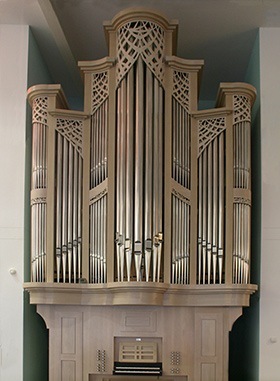 This means that we are able to offer a fully comprehensive and prompt maintenance and tuning service throughout the life of an instrument. At whatever early stage of the scheme you may be, we are delighted to discuss your requirements and any queries. Our job is not complete until the customer is content. 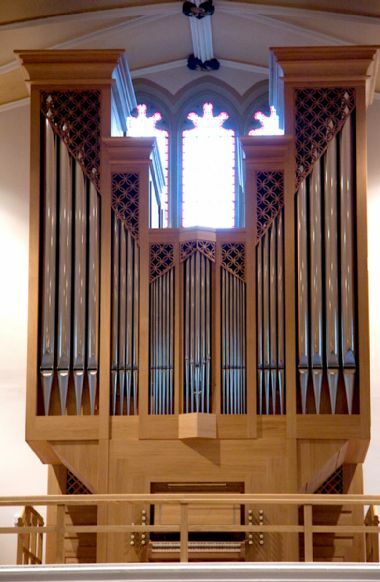 You are most welcome to see and play some of our organs in the UK or to visit our workshop in Slovenia to witness at first hand the quality of our work and the dedication of our craftsmen. 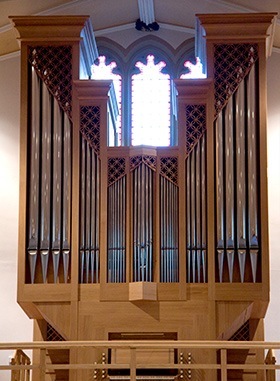 Dr Gordon Stewart plays the first movement of Bach’s E flat Trio Sonata on a Skrabl chamber organ in Yorkshire. 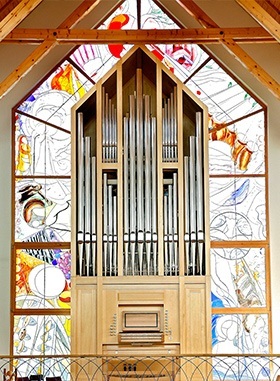 The Škrabl organ built in 2009 for St Patrick's Church, Huddersfield, West Yorkshire. Private Residence, Huddersfield, West Yorkshire. 2012, Op 267. 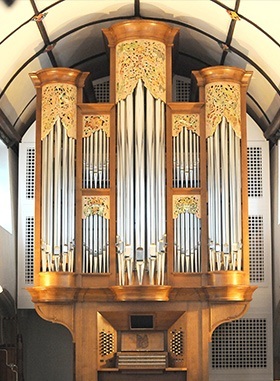 Škrabl builds, restores, rebuilds, repairs, maintains and tunes pipe organs to the highest standard across the world.